Saves time during valve implantation by keeping the suture-ends organized and tangle-free. It adapts itself to the shape of the surgical wound. Bendable: you can conform it to the shape of the thorax. Ideal for minimal invasive valve implantation. 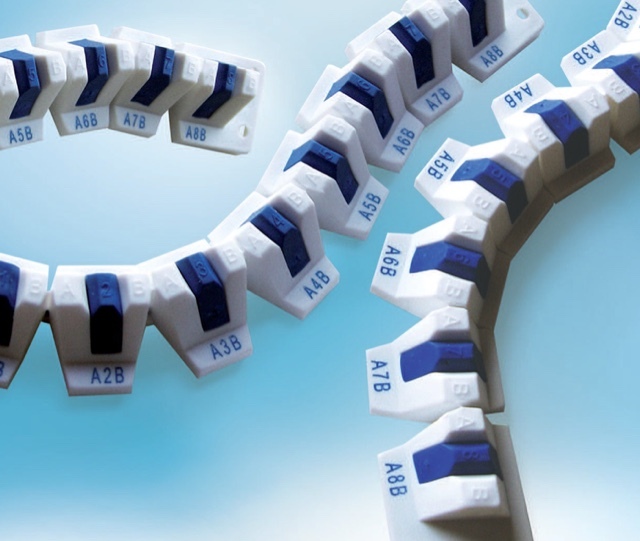 Numbers and AB letters prevent suture entanglement and reduce clutter. Adhesive Underside Surface fixes the Suture Organizer firmly to the surgical drape. Superior Design utilizes only high quality materials, silicone rubber dividers hold suture ends more firmly than other available devices.